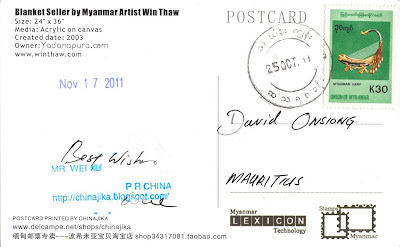 A big thank you Wei for this awesome card - my first one by the way :) - from the Republic of the Union of Myanmar. 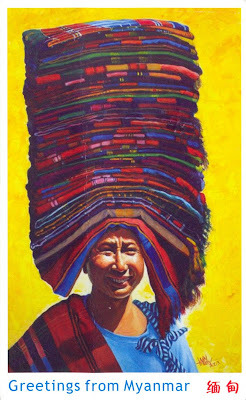 It shows a smiling lady selling a pile of colourful blankets. The K30 stamp depicts the saung or the Myanmar harp, used in traditional Burmese music and the only surviving harp in Asia today.